Vasculitis is an inflammation of the blood vessels. they can also damage normal tissue if they invade it. be felt if the blood vessel is close to the skin surface. clot which forms at the site of inflammation. that vessel begin to die. may develop a cold finger which hurts whenever it is used. Occasionally this can progress to gangrene. blood vessel in the process. an immune or "allergic" reaction in the vessel walls. This cause of vasculitis is more common. Substances which cause allergic reactions are called antigens. antigen for the purpose of getting rid of it. by activating other body substances to help destroy the antigens. blood vessel walls, where they cause inflammation. the severity of the tissue damage. Some patients are not ill but notice occasional spots on their skin. deformities resulting from this arthritis are rare. loss of strength (especially in the feet or hands). Vasculitis in the coronary arteries is unusual in lupus. exertion (angina), which is relieved by rest. Heart attacks rarely occur as a result of vasculitis. symptoms of fever and cough. even those who have lupus nephritis. with renal vasculitis have high blood pressure. The retina is at the back of the eye. There is visual blurring which comes on suddenly and stays. A person may even lose a portion of their vision. This is usually accompanied by severe headache. the results of specialized laboratory tests. measure whether complement levels are abnormal. These blood tests take several days to complete. well the lungs handle air and oxygen as you breathe into it. special x-rays to see the intestines. the outlines of the blood vessels on x-ray. biopsy of the involved tissue and examining that tissue under a microscope. Your physician may suggest this procedure. with other medical specialists about your case. to help you with decisions. Many cases of vasculitis do not require treatment. combined with other symptoms) may not require any medications. to cortisone-type drugs will need to be treated with cytotoxic drugs. Imuran) and cyclophosphamide (brand name: Cytoxan). are often effective in treating vasculitis. 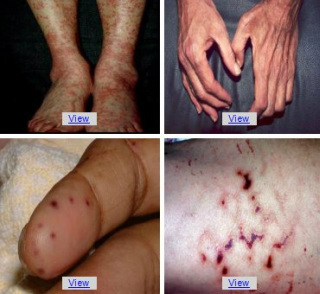 vasculitis, a physician should be consulted as soon as possible. can be normal -- or close to it. ongoing treatment is always required.